Lower back pain, without a doubt, is the ailment that knows no barriers … it plays no favors among the young and the old or the fit and the sedentary. In the athletic realm, each sport has certain injuries that are more common – for example, long distance runners and IT Band Syndrome go hand in hand. Low back pain, however, crosses boundaries from sport to sport, striking runners, cyclists, gymnasts, racquet sport players, and so on, showing absolutely no respect. There are almost as many remedies for back pain as there are back pain sufferers, and yet, it continues to strike 80% of the population at some point in their lives. 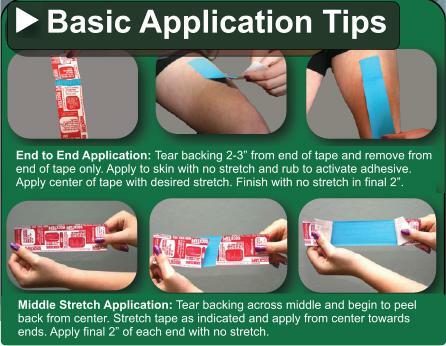 Kinesiology tape is a therapeutic tape that is used to relieve pain, reduce inflammation and prevent to eliminate muscle spasms. 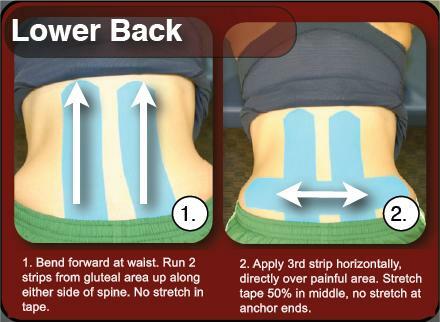 While kinesiology taping is not a cure-all for back pain, it can be incredibly effective for those suffering from back pain related to inflammation, poor posture, improper movement patterns, overuse, and more.